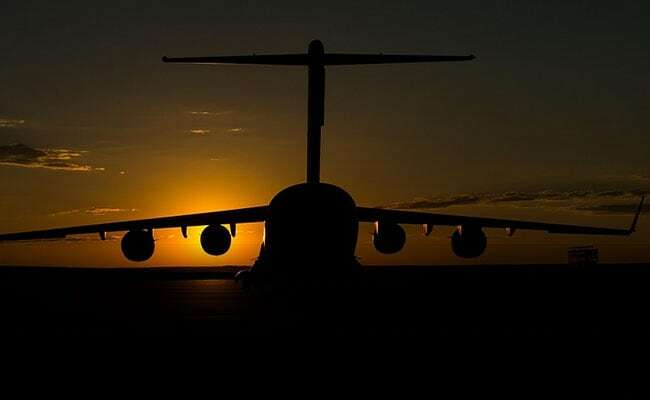 A Boeing 707 cargo plane with nine people on board crashed in Iran, the Fars news agency reported, adding that there was no immediate information on casualties. Authorities did not immediately offer a reason for the crew's decision to land at Fath Airport, which is some 10 kilometers (6.2 miles) southwest of Payam. Images showed the burned-out tail of the plane sticking out, surrounding by charred homes. Dramatic pictures show how the plane slammed into a building after overshooting the runway. But a source told Fars agency that the plane belonged to the Iranian military's air force. 'Details of the accident and martrydom or injury of the flight team is still being investigated, ' the army said. It was later confirmed it belonged to Iran's air force. The report says the crash occurred as the plane was making a landing approach heading for the wrong airport and trying to land at a non-commercial airport near a residential area instead of a cargo airport some 2.5 miles away.